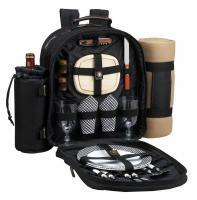 Fully equipped picnic backpack for two with detachable wine holder & Thermal Shield insulated cooler section, to keep food and drink at the perfect temperature. 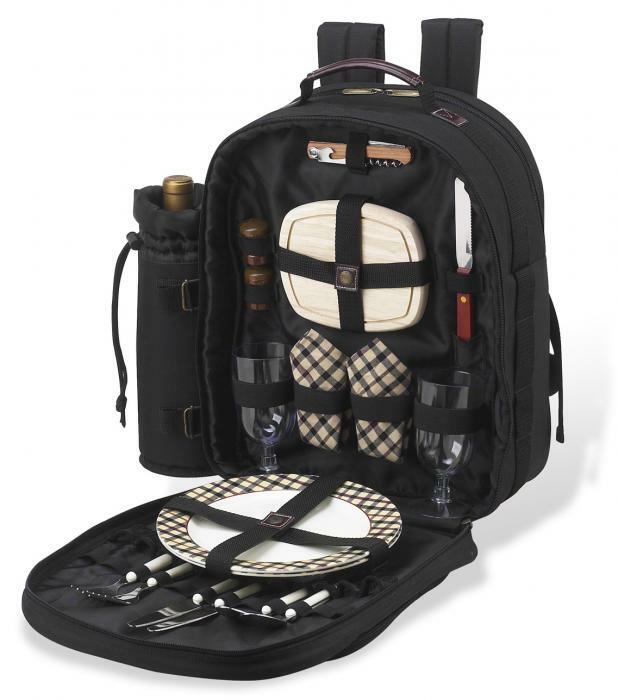 Includes combination corkscrew, hardwood cutting board, cheese knife, wooden salt & pepper shakers with non spill tops, acrylic wine glasses, 9" melamine plates, stainless steel flatware, and napkins. 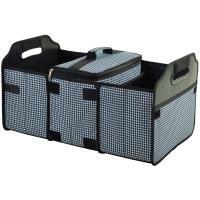 From our London Collection -this classic picnic pack makes an elegant gift. Constructed of 600D polycanvas. Designed and assembled in the USA. Lifetime warranty. I bought this as a Christmas gift for my girlfriend. She absolutely loves it, we've used it several times now and its been fantastic, it's working so well her parents are planning to buy one for themselves! Overall a great buy for a good price. Received it promptly and am delighted with the product. Haven't used it yet but it the style and quality appear to be great. Item just as described! It is a great wedding gift! I purchased this as a Christmas gift and it was thoroughly appreciated. 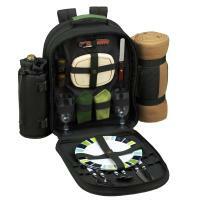 From my point of view I think that the backpack was a very good deal for its price. 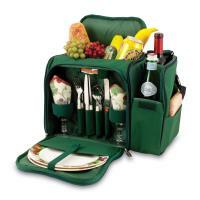 I have used the picnic backpack a couple of times and I really love it! I only wish that I had purchased a service for four instead of two, which I may do in the future. It is so convenient to have your utensils, cups plates right there when you need them! 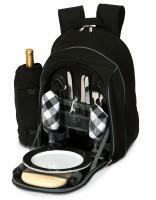 And there is room for your food as well!